I believe I saw some necklaces a couple of years ago at a local boutique near their register. I thought they were simple and cute, and as a sucker for throwing in something small at checkout (dammit sephora and your sneaky mini sized items to peruse while waiting in the always there even-at-11am-on-a-Wednesday line...oh, new mascara for $9, sure!) I passed because "throwing in" a $54 necklace wasn't really an add on. However, my interested was reignited when I fell for this sweet necklace on etsy... unfortunately, after posting about it, it sold out! So I did some online shopping and found some similar items. 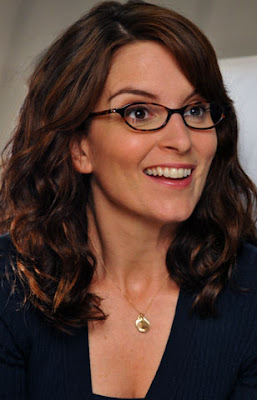 I looked over the ubiquitous in 2008 Nashelle initial stamped necklaces... because even though their popularity as a trend has dropped, Liz Lemon still rocks hers every Thursday and dammit, it still looks great as a classic staple piece..
Last night, I received a message that I necklace I added to my wishlist that was currently out of stock, was in fact back in. I scurried over (through ebates... getting 5% cash back) and checked out the Emerald Jade Healing Gem. While the Good Luck, Triple Karma, Hope, and It's the Journey Reminder Necklaces all spoke to me for different personal reasons... I love the uniqueness and meaning behind the Emerald Jade. wear as a daily reminder. jade attracts loyalty and brings health, luck, and success. Call me crazy for loving a gimmick, but the message and karmic energy is something I'm looking for right now and I really think that's what makes this company's items so different. I love the different messages and reminders they can be for the people wearing them. Do you like simple charm necklaces or is the bigger the better? Any brands you have become loyal to or just love their message or mission? I love that Jade necklace, great choice! How funny--I too have been attracted to smaller, more delicate necklaces after being pretty loyal to chunky jewelry my whole life. I love that they become an everyday signature. Can't wait to see it on you! That emerald jade necklace is lovely! I love big statement necklaces, but I think that my favorite necklace is a simple silver piece I bought from a vendor at the market the first year I moved to DC. YES! I love Dogeared, too! I just got my first one for Mother's Day (whispers gold cross) but I have lusted after them for a long time. The karma ones are fabulous. i've been obsessed with dogeared for awhile now. they are so dainty and classic. i have the karma one, and it looks great alone or also layered with other length of necklaces. i have bought 'pearls of friendship' for a couple friends. their products make great gifts!! I have the karma one in silver that I got from a boutique a few years back. (I could swear it was cheaper back then!). I also just ordered a tiny gold "family" whale that I love when they did their Groupon last month. I'm wishing I bought more than one Groupon at the time because the messages on the cards make them great gifts. Kicking myself! Andi - funny how your favoring the simple necklaces too... I never really wore 'costume' jewerly until college and then stopped when I graduated, and then got back into it a year or so ago... over it again, ha! Rosa - Love that you got a local piece!... so unique! Karebear - they definitely are great gifts... and I saw they just had the groupon, so sad I missed it! I love Dogeared! I have a couple of their necklaces, including the Karma one. They're so sweet and simple, you just can't go wrong! yes, I love simple necklaces - mostly from random sellers on Etsy, haha. the one I wear on a daily basis has a small pear charm and a little stamped circle "Q" - I got it as a Christmas gift and I'm pretty sure I've worn it everyday since! I love the emerald jade necklace. So pretty.